The level of service provided by the Republic of Korea’s ninth largest conglomerate, Hanwha Corporation, has impressed the Minister for Health and Medical Services, Jone Usamate. Mr Usamate, who is currently in Korea, intends to explore opportunities within the organisation for the advancement of Fiji’s health sector. Hanwha Corporation is one of Korea’s leading health care solutions provider specialising in the applications of efficient and modernised Korean medical systems. It also develops localised and customised business solutions for both the private and public sector. In a meeting with Hanwha’s chief executive officer Jae Hong Park in Seoul, Mr Usamate said the corporation, which has business in design, planning, construction, equipping and maintenance of hospitals and other health care facilities, was a unique organisation that will be able to help enhance health care services in Fiji. 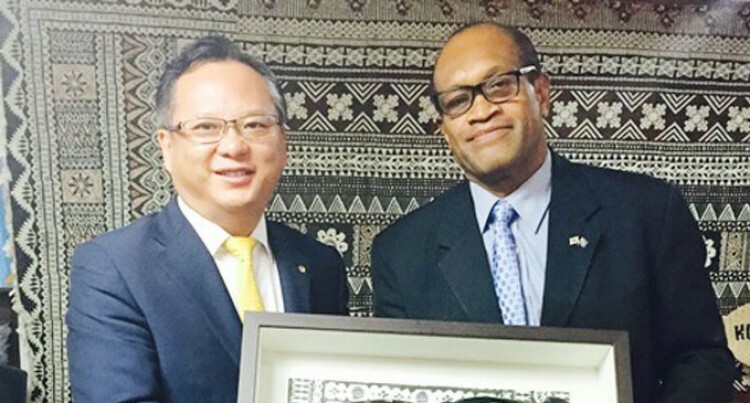 Mr Usamate believes Fiji must tap into Hanwha’s experience of providing health care solutions which not only centers on the Korean people but also has a universal focus. In response, Mr Park said the company looked forward to assist through most modern health concepts and practices including real care, wellness and healthy living.